Brock Lesnar is quietly back in the USADA testing pool for UFC, meaning that rumors about him potentially returning to fight have some substance. Rumors broke today claiming that Lesnar and Paul Heyman were at the UFC offices over International Fight Week and talking about him fighting in Madison Square Garden on November 4th. That date would be impossible because Lesnar had a one-year suspension for two failed drug tests for Hydroxy-Clomiphene which dates back to his final positive test on July 9th. Lesnar's one-year suspension was frozen in mid-February, meaning that he has five months left, putting a return to UFC competition at mid-December at the earliest. Lesnar announced his retirement, meaning he was also out of the USADA testing pool. 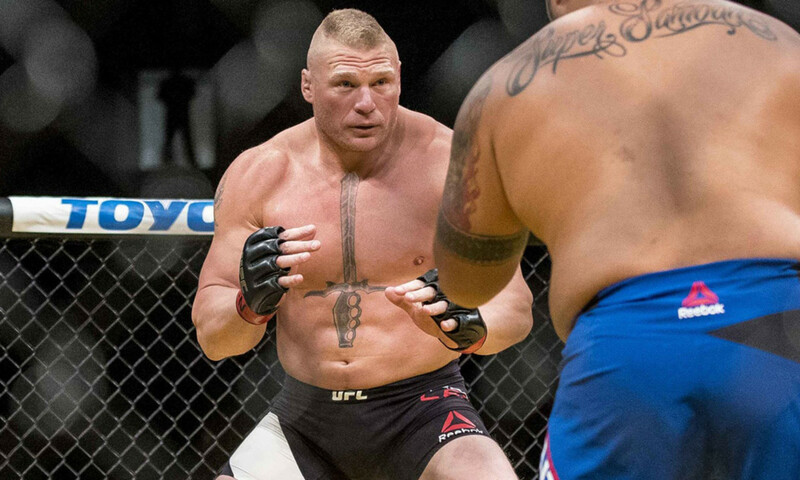 Much of the story was denied to us, including Heyman being in the offices, however those in UFC did confirm the obvious interest in Lesnar fighting again if he would choose to do so. Putting himself back in the pool means Lesnar, who just turned 40, at least has some interest in fighting again.